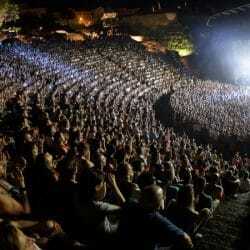 The Biennial Festival of Contemporary Art welcomes the best in international contemporary art every two years in Lyon. The Biennial Festival of Contemporary Art is a several weeks celebration of contemporary art that takes place every two years and invites the public to discover and experiment with modern art at various iconic locations around the city of Lyon and the greater Rhone Alps Region. The Biennial festival of Contemporary Art was created in 1991 by Thierry Raspail and Thierry Prat and alternates with the Biennial festival of dance which was created in 1984. The event lasts about 4 months, occupying various venues around the city from mid September until the beginning of January exhibiting some of the most important works from dozens of international artists. Each Biennial invites a different curator to determine the artistic direction based on a theme which runs for a trilogy of biennials. 2015 saw the first part of a trilogy based around the word “modern” and welcomed guest curator Ralph Rogoff whose “Modern Life” biennial exhibited works from over 60 artists from 28 different countries including British sculptor Anish Kapoor and attracted around 250,000 visitors confirming its reputation as one of the most important international festivals of modern art. The principle locations for the festival are La Sucrière which is an old sugar factory on the banks of the Saone in the new Confluence district located in the south of the Presqu’ile near the impressive Confluence Museum and also Lyons Museum of Contemporary Art (MAC) which overlooks Parc de la Tete d’Or. In addition to the principle locations there are typically around a hundred other exhibitions taking place at dozens of places around the city of Lyon and the Rhone Alps region for the duration of the festival under the heading “Resonance”. “Rendez-Vous 17” is an exhibition integral to the Biennial which began in 2002 and is dedicated to discovering young artists from France and overseas. 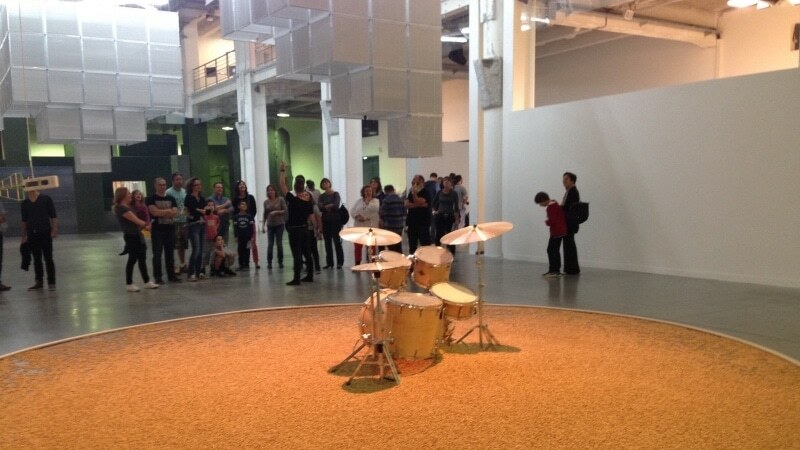 It takes place during the festival at the Institute for Contemporary Art in Villeurbanne and is coordinated by Lyons Museum for Contemporary Art. “Rendez-Vous 17” also invites the participation of 10 other Biennials from around the world. Tickets are available for individual exhibitions or you can by a pass which is valid for everything. Admission prices vary so consult the festival program when it’s published. Guided visits in English are also available. A four month long exhibition of well over a hundred contemporary artists at multiple locations around the city of Lyon make this a modern art lovers paradise. 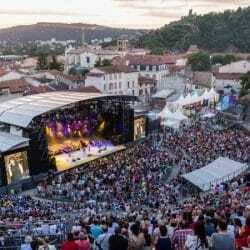 Dedicated to the performing arts, Les Nuits de Fourvière festival presents around 60 shows during June and July in a Roman Amphitheatre in Lyon. ut ut porta. elit. leo. commodo facilisis risus. elementum sit neque.